1. for cake. Trim a small amount from the bottoms and tops of the oranges, just enough to reveal the flesh. In a pot, cover the oranges with water and bring to a boil. Cook for about 1 minute, and drain the oranges, discarding the water. Repeat the boiling, cooking, and draining one more time for thin-skinned oranges, twice more if using thick-skinned oranges. 2. Combine the blanched oranges, 1 cup (200 g) sugar, and 4 cups (920 g) water in the pot over medium heat. Cook for 20 to 30 minutes, stirring frequently, until the sugar dissolves and the orange rinds are fork-tender. Drain the oranges and let cool to room temperature. Cut the oranges in thick slices and remove the seeds. In a food processor, blend the oranges (including rind) to a chunky puree. 3. Preheat oven to 350° F. Grease and flour the mini bundt cake molds and set aside. 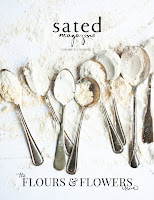 In a bowl, whisk to combine the flour, baking powder, salt, and chopped rosemary leaves. Set aside. In another bowl, mix together the pureed oranges, milk, orange juice, and orange blossom water. Set aside. 4. In a stand mixer with the paddle attachment, beat the butter and sugar on medium until light and fluffy, about 2 to 3 minutes. Add the eggs one at a time, beating well after each addition. Fold in the flour mixture in two additions, alternating with the orange and milk mixture. Do not overmix. 5. 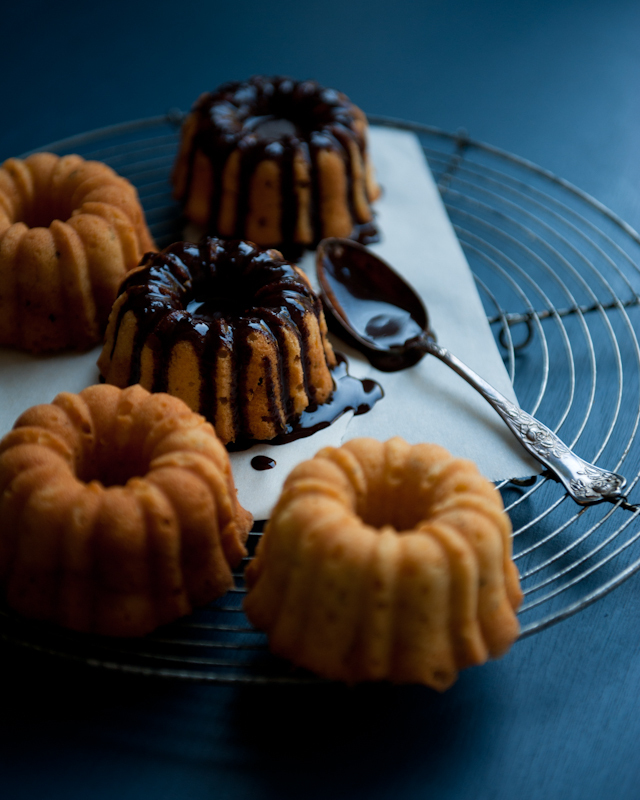 Divide the batter amongst the prepared bundt pans, filling about ¾ of each mold. Bake for 30 to 35 minutes until a toothpick inserted in the center of a cake comes out clean and the edges are just turning golden brown. Remove from oven and let cool on a wire rack for 10 to 15 minutes. Turn out the cakes from the pans and cool completely on a wire rack. 6. for chocolate glaze. Place the chopped chocolate in a heatproof bowl and set aside. In a saucepan, heat the cream and butter just until simmering. Pour the hot cream mixture over the chocolate. Let sit for a minute. Add the honey and stir the cream into the chocolate until smooth. Let the chocolate cool briefly to thicken and pour over the cakes, leaving about half of each bundt cake visible. Let the chocolate cool completely before serving. 1. Preheat oven to 300° F. Prepare cookie sheets lined with parchment paper or silicone mats. 2. In a food processor, combine the pecans and flour. Process until the pecans are finely ground. In a separate bowl, rub the meyer lemon zest into the sugar with your fingers. Add the lemon sugar to the pecan and flour mixture. Pulse to combine. Add the butter and process until the butter is the size of small peas. Add the meyer lemon juice one tablespoon at a time, pulsing well between each addition. Process until a ball begins to form and the dough holds together when pressed between your fingers. 3. Scoop a tablespoon of dough at a time, roll into a ball, and place on the prepared cookie sheets, leaving at least one inch between each cookie. Bake for 45 minutes, rotating halfway through baking. Remove from the oven and let cool on a wire rack. 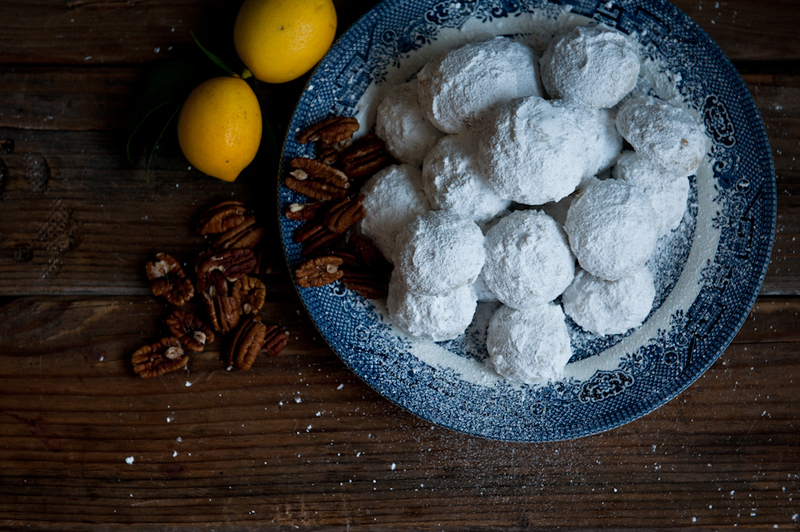 After 10 minutes, while the cookies are still warm, roll in confectioners’ sugar. 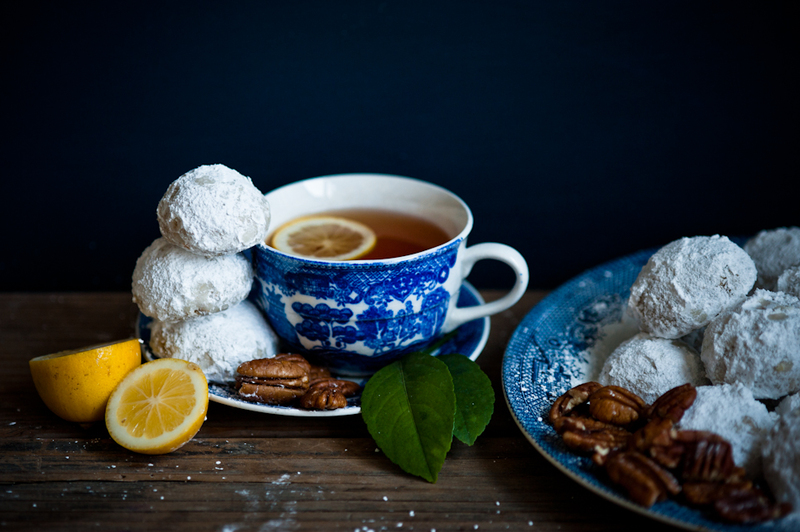 Let cool completely and roll the cookies in confectioners’ sugar again. 1. for tart shell. In a food processor, mix the buckwheat flour, almond meal, brown rice flour, potato starch, and sugar until well-combined. Add the cold butter and pulse until the size of small peas. Add the egg yolk and pulse to combine. Gradually add the water one tablespoon at a time until a dough begins to form when pressed together between two fingers. Do not overmix. Remove the pastry from the food processor, form into a disc, wrap in parchment paper or plastic wrap, and refrigerate for at least one hour. 2. Preheat oven to 425° F. Remove the pastry dough from the refrigerator and roll the dough on a lightly floured surface until ⅛-inch thick. Press the dough into a 9-inch round tart pan. Trim and remove any excess dough. If the dough has softened during rolling, return the tart shell to the refrigerator or freezer and chill until firm, at least 15 to 30 minutes. Prick the bottom of the dough all over with a fork, cover with parchment paper, and weigh down using dry beans or pie weights. Bake the tart shell for 13 to 15 minutes until the edges just begin to turn golden. Remove the beans and parchment paper and continue to bake for 3 to 5 minutes more. Remove from the oven and let cool completely on a wire rack. 3. for filling. In a double boiler or the microwave, melt the white chocolate. Let cool to room temperature but do not let the chocolate firm up again. 4. Combine the mascarpone cheese, sugar, and heavy cream in a mixer bowl. Split the vanilla bean lengthwise and scrape the seeds into the bowl. With the whisk attachment, whip the mascarpone mixture on medium high just until stiff peaks. Do not overmix. Carefully fold in the melted, room temperature white chocolate. Spoon the filling into the cooled tart shell, and smooth with a spatula. 5. for citrus. Remove the rinds, pith, and seeds from the citrus fruit. Either segment the citrus or cut into thin slices and arrange on the tart. Warm the marmalade and brush a small amount on the fruit for a shiny glaze. Serve the tart on the same day it is made. Wow, three in one? I can't decide which dessert I like best here and which one I want to bake first! Those cookies look like little bites of heaven. 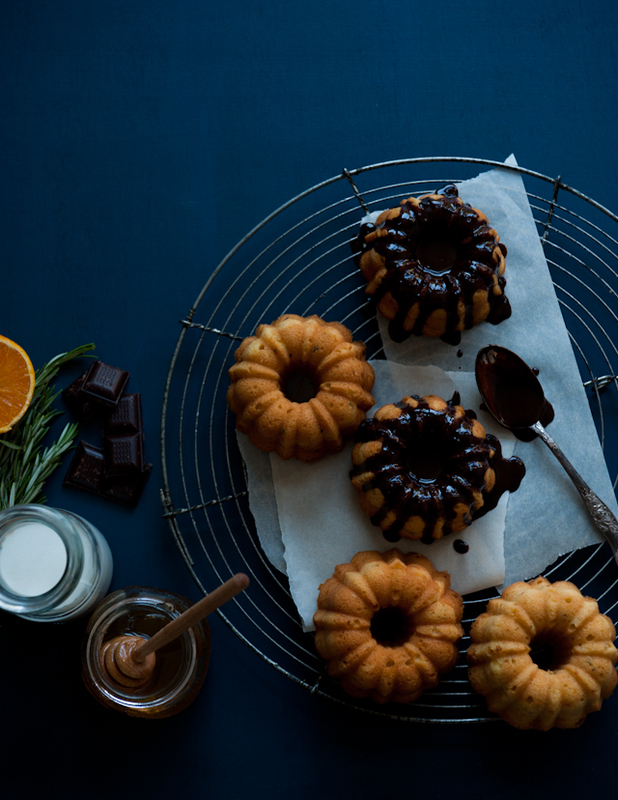 I think those bundt cakes though are my favorite - I would have loved orange and rosemary enough together on their own, but top it with a dark chocolate glaze? Looks incredible! I'm so glad you posted these because I missed them the first time around. Gorgeous, all of them. 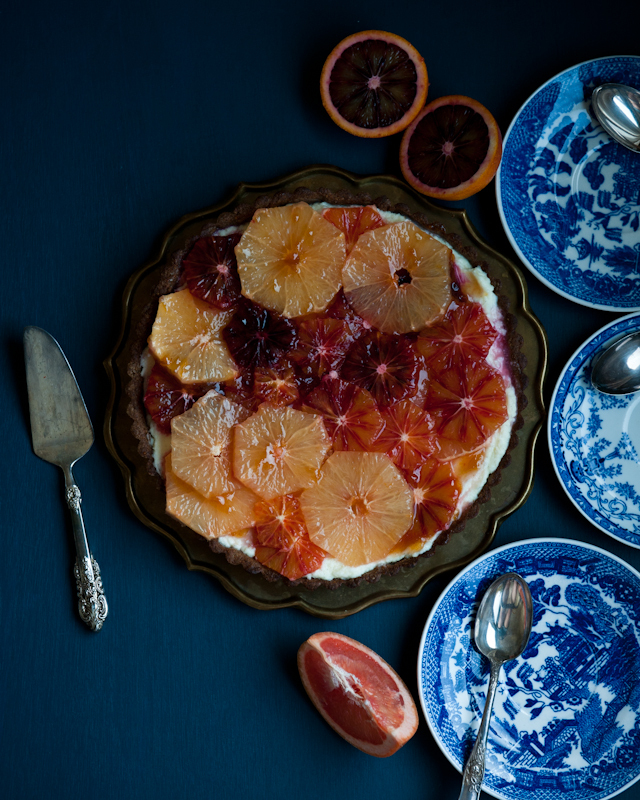 That tart is seriously calling my name - I bet the white chocolate is perfect against tangy citrus and earthy buckwheat. Yum! Hi there, I first want to say thank you for such wonderful work in creating your blog! 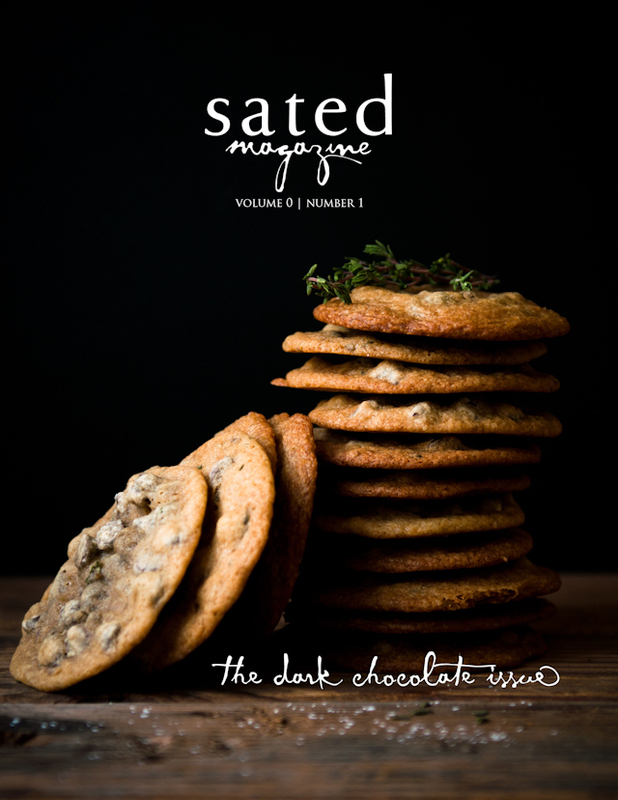 If you'd like to try a sample to review on your blog, we'd be happy to send it! Feel free to email or contact me through my blog (www.relizabethpaleorunner.blogspot.com) if you decide this is something that interests you. Was so excited when I saw this in my FB feed! 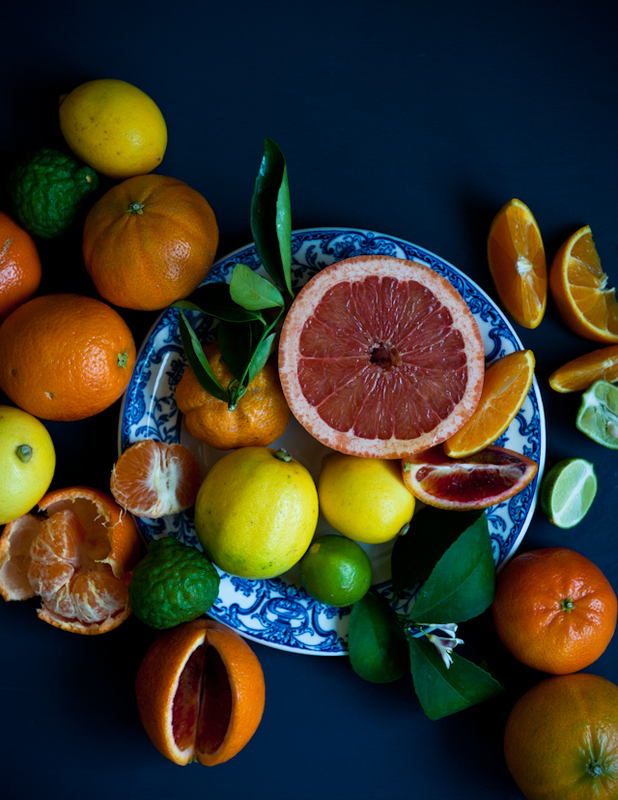 :) I love your photography style, especially with colorful citrus. Those mini Bundt cakes are ADORABLE--I need to get me some of those pans. Oh yumm! 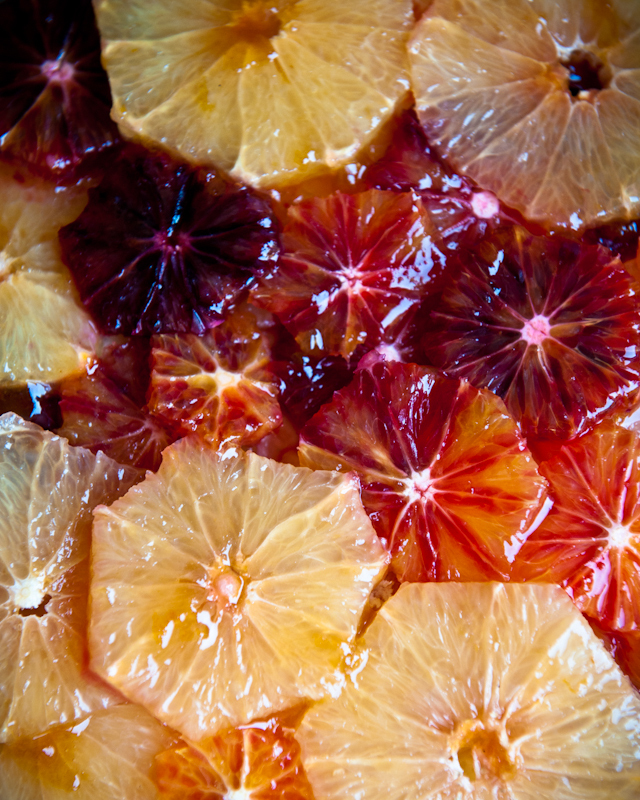 Blood oranges are so photogenic ;) Thanks for sharing the recipes! I see that the oven is at only 300 degrees, but do the cookies really take 45 minutes to bake?